The revised format for PAN Card application to be followed from Jul 1st, 2017. New format 49A for allocation of Permanent Account Number to Indian citizens and Indian companies along with the guidelines of filling the form and important points required to keep in mind by the applicants while filling this application. 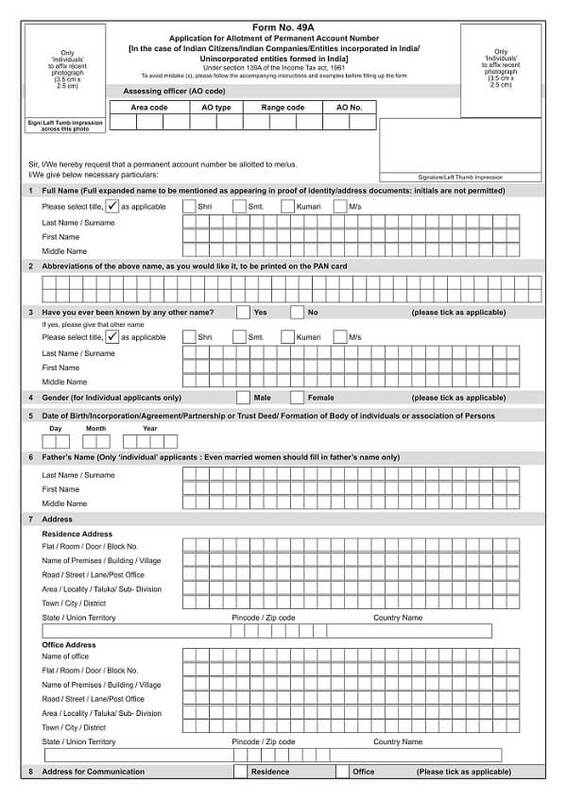 If you wish to apply for PAN Card then download and use this form to submit your application with the department. If you wish to make any changes in your PAN then with revised PAN card form you can make it happen. To apply for the Pan card, everyone should undergo a process stipulated by the government of a state that works as a domicile certificate of the applicant.